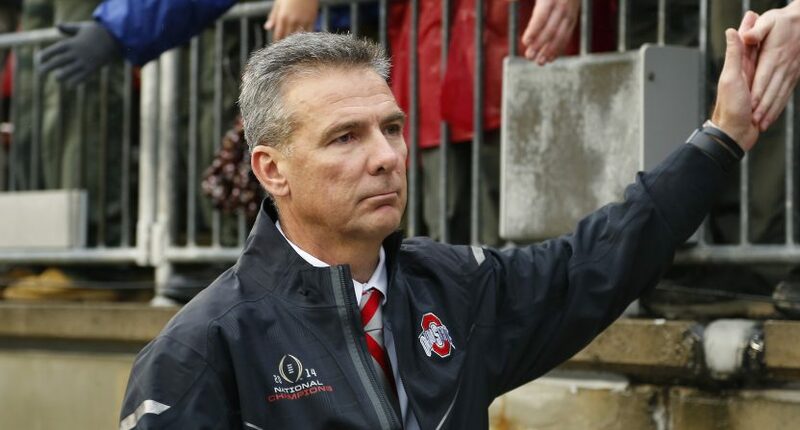 Urban Meyer's Ohio State tenure could end after next season. Rumors have been swirling about Urban Meyer’s coaching future at Ohio State for months now, and the latest rumor has Meyer returning to the Buckeyes for the 2019 season – but leaving at the end of next year. According to Football Scoop, Meyer has told OSU athletic director Gene Smith that he will be back for 2019, but plans on stepping away from coaching after that season, largely because of the chronic headaches caused by a cyst. There may be some smoke to this report – in the same article, Football Scoop is also reporting that Ohio State offensive coordinator Ryan Day is getting a raise from the school, removing himself from any job interviews, and being lined up for the Buckeyes head coaching job in the post-Meyer era. With that said, sources tell FootballScoop Ohio State is taking Ryan Day off the job market, with a significant raise coming and with the (most likely) unwritten understanding that he is in line to become head coach once Urban steps down. We’ll probably learn more about Meyer’s future following Saturday’s Big Ten Championship game, where Meyer’s Buckeyes are heavily favored against the Northwestern Wildcats. If Ohio State wins, reaches the College Football Playoff, and wins the national championship, wouldn’t it make so much more sense for Meyer to go out on a high note (on the field, at least) this winter?